Clinical manifestations of anxiety, hyperactivity, tics, dystonia, chorea, and restless leg syndrome involve disease of the basal ganglia indirect pathway. This course presents differential diagnosis of hyperkinetic movement disorders and their mechanisms, as well as a detailed review of basal ganglia neurophysiology and clinical expression. 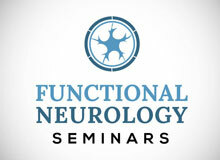 Focus will be on differential diagnosis and therapeutic strategies involving neurological rehabilitative exercises, cognitive, dietary, nutritional, pharmacological, and lifestyle strategies.